Sunscreen SPF 50 is a reliable sun protection, which is suitable even for soft baby skin and combines the effective protection with skin care. Cocoa butter, avocado and olive oils, camomile and calendula extracts stimulate natural skin protection by boosting the physical and chemical filters’ effect, remove irritation and prevent dryness and peeling. Cream will carefully protect you from sunburns, it is an ideal choice for both adults and children. Due to the active moisturizing complex of the hyaluronic acid, Aloe Vera and Panthenol the cream softens the skin and prevents it from drying. Aqua (Water); Bis-Ethylhexyloxyphenol Methoxyphenyl Triazine; Diethylamino Hydroxybenzoyl Hexyl Benzoate; Ethylhexyl Triazone; Emulcifying Wax; Glyceryl Stearate; Caprylic/Capric Triglyceride; Сoconut Oil; Persea Gratissima (Avocado) Oil; Olea Europaea (Olive) Fruit Oil; Dicaprylyl Ether; Glyceryn; Triethanolamine; Titanium Dioxide; Zincoxide; D-Panthenol; Aloe Barbadensis Leaf Juice; Glyceryl laurate; Cetearol; Parfum (Fragrance); Sodium Gialuronate; Chamomilla normalized oil solution; Calendula normalized oil solution; Tocopheryl Acetate; Dimethicone; Cyclomethicone; Methylparaben; Propylparaben. 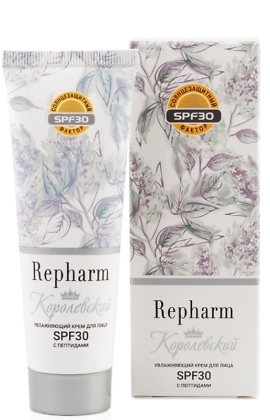 Sunscreen SPF 50 for the entire family is a soft smooth texture impurity-free daffodil-colored cream with a pleasant odor. 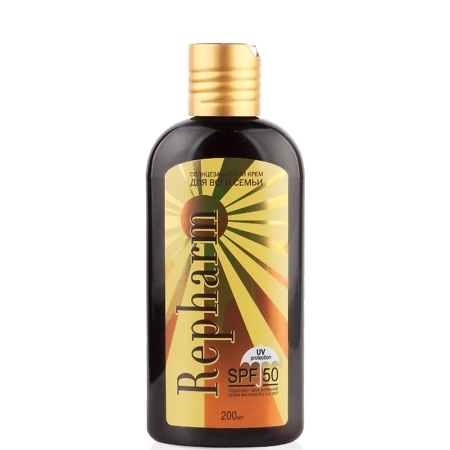 Protects from sunburns and sun exposure effects. For all skin types. 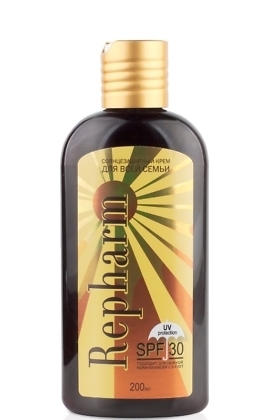 Recommended as an effective medicine against UVA and UVB rays. Apply in 15-20 minutes before going out, in case of prolonged exposure repeat every 2 hours. If an irritation or an allergic reaction developes stop using it immediately.